If the paradoxical title doesn’t pique your curiosity, the minute you plunge into the end pages of this extraordinary picture book, you’ll be wondering what comes next. 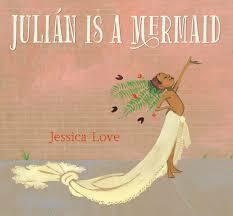 Julian is a boy, entrusted in his Nana’s care, whom LOVES mermaids. One day, during a long boring bus ride the visitation of three ethereal looking women spur Julian’s imagination into magnificent motion enlivened by his book reading. Despite his rather pedestrian surroundings and the broody nonchalance of his Nana, Julian envisages himself as a magnificent mermaid, going to remarkable lengths to replicate their splendour. The element of power this book possesses lies within Julian’s grandmother’s reaction to his altered ego. It is a priceless and potent purport for being true to yourself. Love’s lavish illustrations exploit the barely supressed extravagance of this book by tempering glorious colour (of the mermaids and festivities) with the more subdued tones of Julian’s environment, a kind of yin and yang of acceptable and out of the ordinary. 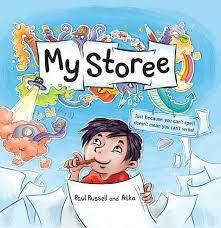 This is definitely one to share and explore further with children from four years of age upwards. I’m not exactly sure what Harbet is, a kind of dog-inspired goofy youngster, but his alluring need to fit in and keep up with the Jones or in this case his fad-following friends who happen to be extinct species, is both hilarious and immediately recognisable. The fact that Harbet is undefinable (a bit like Pluto) is the point of difference in this tale of trying hard to fit in. Dripping with dramatic irony, Old Hat highlights the beauty of being different and dancing to the beat of your own uniqueness. 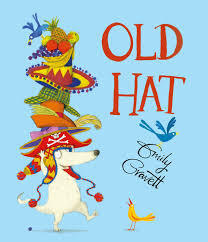 Suffused with Gravett’s usual comic twists and turns and supported by her almost Seuss-like illustrations, this one is highly recommended for children from three upwards and anyone who loves exciting headwear. Celebrate your own style with Old Hat. Take one adorable, fluffy grey squirrel, all alone and desperate beyond measure for someone to share his days with and mix with a rather scruffy, questionable grey…other squirrel and you have the start of a beautiful friendship. This is the story of Pat and Cyril who rejoice in their newfound friendship with all the gay abandon you’d expect of two creatures intent on living a life of joie de vivre. That is until their park companions do their utmost to point out the Pat is not the squirrel Cyril believes him to be. 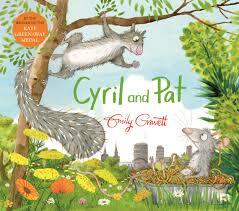 When the sun finally dawns on Cyril that Pat is in fact a rat, he quickly ditches his best buddy. However, try as he might, fun and games are no fun and games alone especially when you try to outwit and outrun your archenemy, Slim. Thankfully, Pat the rat’s stalwart friendship saves the day, and Cyril, proving you can’t always judge a rat by his reputation. 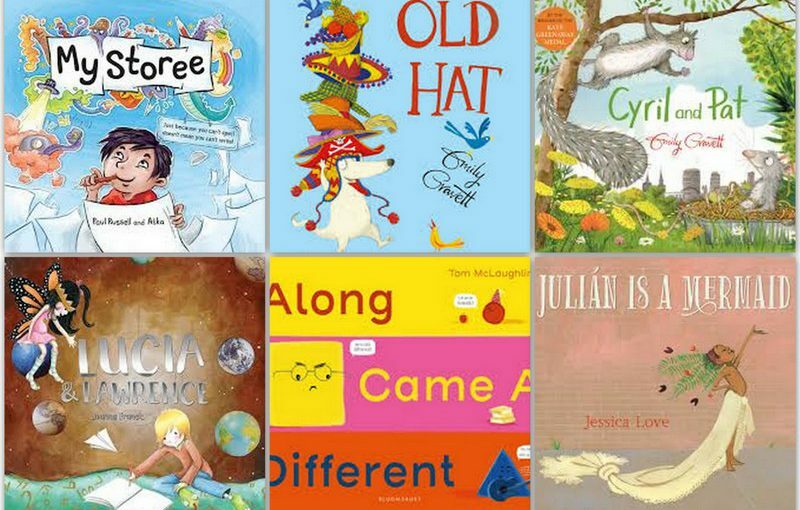 This is another sublime rhyming masterpiece from accomplished author illustrator, Emily Gravett that champions quirky friendships and the notion that some things are more important than being the same, or listening to others. Wholesome, winsome, and wonderful. 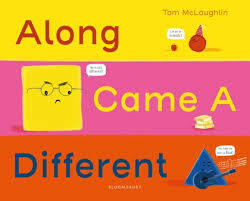 Delightful for 3 – 6 year-olds. This sweet picture book from newcomer , Joanna Francis swells with charm and will appeal to all those whose heads work better in the clouds (pink billowy ones preferably) as well as those who prefer to be buried in facts and figures. It’s about Lucia, ardent dreamer and part-time rainbow chaser, her butterfly wings are as much her character as they are her costume. Lawrence is her neighbour, full time book worm and mathematician. Numbers and pragmatism beat his drum. It seems the two are incompatible yet they soon form a ‘warm, bubbly friendship‘ that satisfies them both. Is it enough though to surmount Lawrence’s social discomfort? Together they find a way to combine and overcome their differences and relaunch their friendship journey. 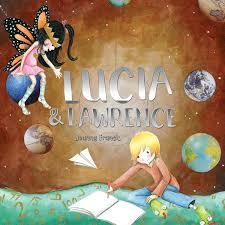 Lucia & Lawrence not only embraces individuality and friendship, it extols the virtues of creativity and how two differents can converge to create a greater whole. Beautiful illustrations imbued with rich detail and an ice-creamy colour palette complete this book which would make a great shared story for 3 – 6 year-olds.